LENZ estarà present a la pròxima edició de l’exposició FoodTech, del 8 a l’11 de maig de 2018. Lenz Instruments assistirà a la sala TECNO CARNICA de l’exposició FoodTech (Stand A-270), que s’organitzarà a Barcelona del 8 a l’11 de Maig. 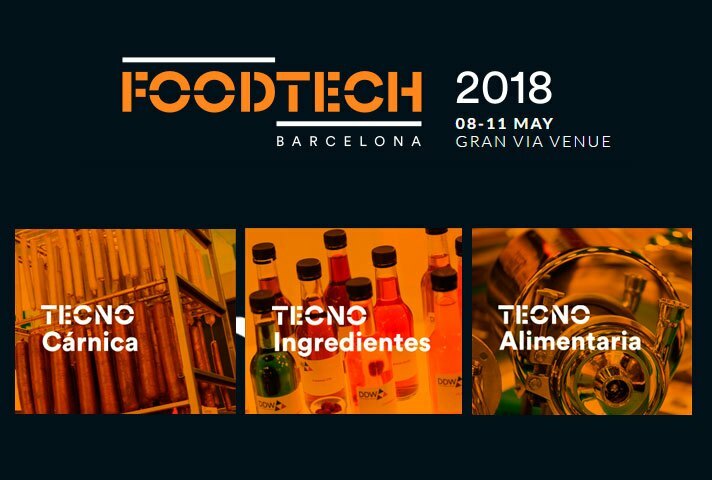 La fira comercial FoodTech se centra en la tecnologia dels aliments i és una de les més prestigioses del sector. Amb més de 37.000 visitants professionals de 115 països diferents, FoodTech compta amb l’assistència de 660 marques comercials d’empreses locals i internacionals. Tecno Cárnica – la sala d’exposicions enfocada en maquinària, tecnologia, equips i subministraments per al sector de processament de carn juga un paper clau en la fira, que representa més del 50% de l’activitat de la Fira. Dintre de la indústria del reciclatge, existeix un interès creixent per noves tecnologies que permetin la recuperació de metalls a partir de residus obtinguts de vehicles al final de la seva vida útil, així com d’altres fonts tals com residus industrials o urbans. Les tecnologies actuals no permet la separació efectiva de diversos metalls no fèrrics, i presenten limitacions en termes de rendiment i cost. En col·laboració amb altres socis industrials, Lenz Instruments ha desenvolupat una planta pilot que permet la separació de residus metàl·lics no fèrrics en tres fraccions, en funció de la seva composició química. 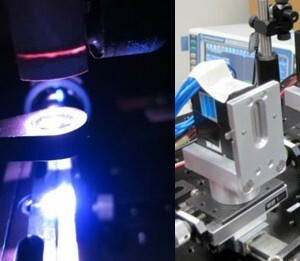 El sistem desenvolupat combina una matrius de se sensors electromagnètics i òptics, que permeten determinar la composició de cada fragment de residu, en tan sols una mil·lèsima de segon. El sistema de control de la planta processa aquesta informació en temps real, a la vegada que regula l’accionament d’una matriu de vàlvules neumàtiques que separen cada fragment en diferents fraccions mitjançant el seu bufat direccional. The Institut de Recerca i Tecnologia Agroalimentàries (IRTA) organized a technical workshop at their facilities on the past December 17th, 2015. In the event, IRTA presented the results of a research study aiming at modelling the salt uptake process, in the production of dry-cured ham. 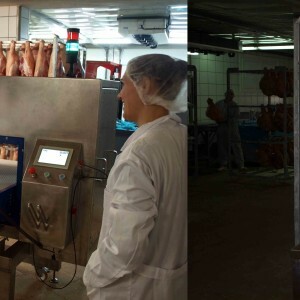 The study, carried out in the framework of an European Research Project (www.procured.eu), showed the importance of monitoring the fat content in raw hams, to control the salt content in the final product. Fratelli Galloni, one of the leading Parma ham producing companies at Italy, has been continuously working in the improvement of the quality of their products, and the control of their salt content. In collaboration with Lenz Instruments, Fratelli Galloni is working in the optimization of their production process, to achieve highest quality Parma hams, with reduced and more standardized salt content. 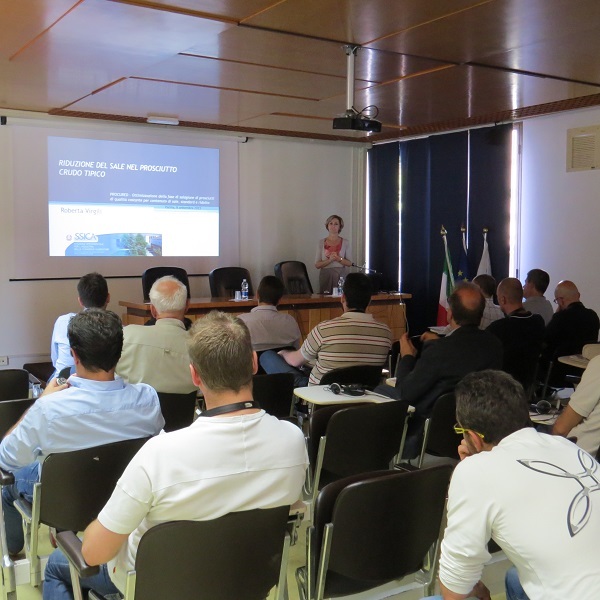 On the past October 8th (2015), the Stazione Sperimentale Industria Conserve Alimentari (SSICA) organized a technical workshop at their facilities at Parma. 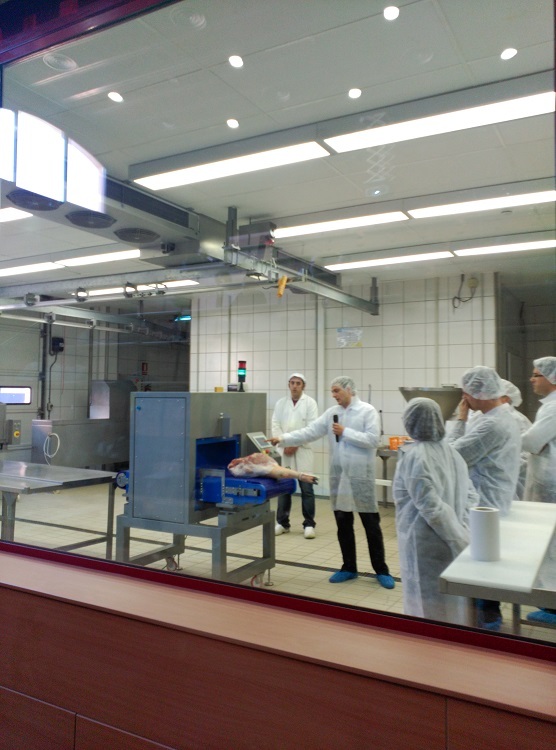 The workshop was aimed at providing a comprehensive review on the use of new meat inspection technologies to improve the production process of dry-cured ham. 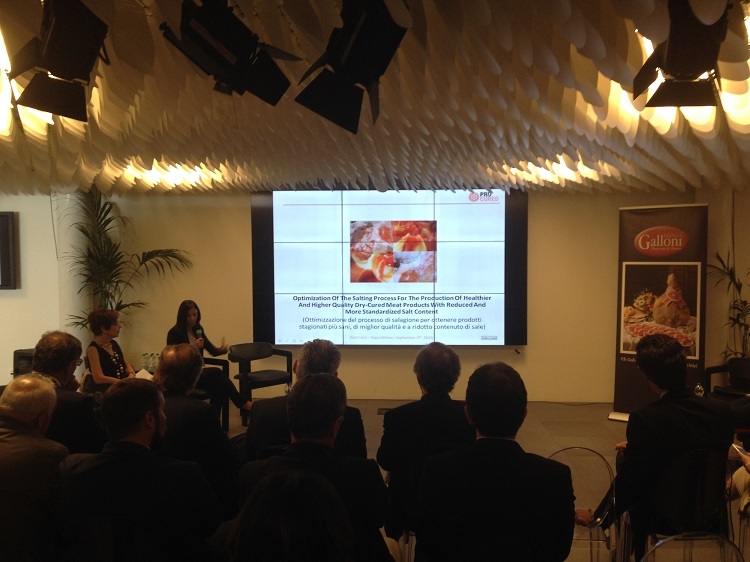 The event was attended by tens of representatives of Parma ham and San Danielle ham producing companies. The optimization of the salting process is important for dry-cured meat producers to ensure a standardized product quality, to successfully achieve a reduction in the average salt content, and to avoid weight losses during drying. Current salting processes relies on establishing the optimum salting conditions based only on the weight of each meat piece, which leads to an homogeneous salt uptake in the final product. Metal recycling industry is struggling to develop efficient methods for sorting non-ferrous metal scrap. 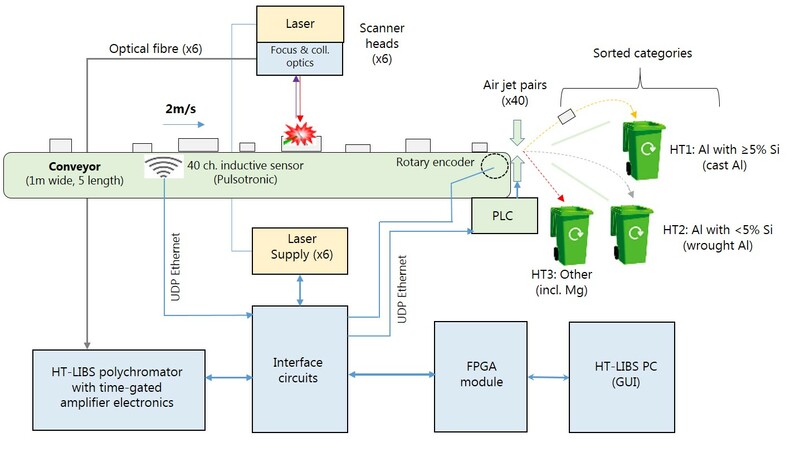 In the framework of a European Collaborative Research project, we are investigating new technologies based on spectroscopic and electromagnetic methods, for sorting metal scrap according to its composition. The objective of the project is to prove the feasibility of using these techniques for sorting non-ferrous scrap into different metal fractions. 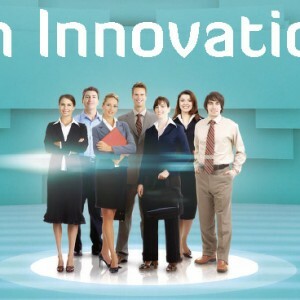 Foodtech Innovation Portal is a Wikipedia-like portal that provides access to information about technologies, profiles of research institutions and companies as well as infrastructure in Europe and worldwide.